into contract costs, renewals, and revenues with configurable budget and forecast reports. Automatic alerts mean you'll keep up with every renewal opportunity, every time. Mitigate risk, meet Sarbanes–Oxley compliance requirements, and eliminate the need for manual document gathering. Automatically create a full audit trail for every contract. Automate even the most complex approval routing process. Need to automate a combination of sequential, parallel, and conditional approvals? You're covered. 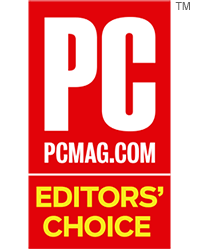 Eliminate the problem of rogue edits slipping by unnoticed. Capture all changes to your documents, and view redlined edits in order to compare versions and streamline contract review. Mitigate risk, meet Sarbanes-Oxley compliance requirements, and eliminate the need for manual document gathering. Automatically create a full audit trail for every contract. Automatically convert image files such as JPG, PNG, or PDF into fully searchable text documents, while still retaining the original image. Ensure compliance with the most stringent privacy standards with fine-grained security permissions. Define precise access controls for each user group, right down to specific fields within records. Gives you secure, legally enforceable e-signature capability, eliminating the time and expense of gathering physical signatures. Learn More about Agiloft's prebuilt and custom integration capabilities. Whether you're looking for a Cloud solution or an in-house deployment, Agiloft has flexible pricing packages to suit most budgets. We didn't know we needed such a customizable piece of software until we really got into the project. Agiloft gave us everything we needed. 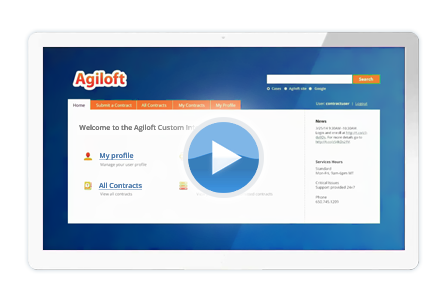 Organizations ranging from startups to Fortune 100 companies depend on Agiloft's Contract Management software to manage contracts with vendors, partners, and customers. Link contracts to Customer Support to ensure your customers have valid support contracts before receiving service. 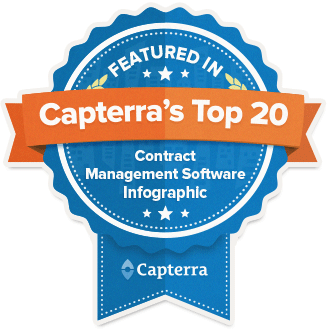 Link contracts to assets to proactively manage your organization's vendor service contracts. Ensure visibility and control throughout your return, repair, and exchange processes with integrated RMA management, repair tracking, and parts ordering.